The Virginmarys exploded onto the rock music scene in 2013 with their album King of Conflict, which debuted #3 on the Billboard New Artist Alternative Chart and #8 on the Billboard Heatseekers Chart. 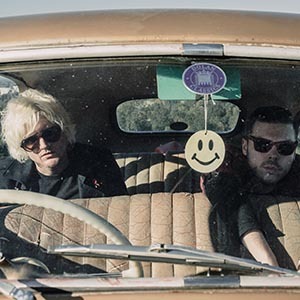 With King of Conflict, The Virginmarys were dubbed the buzz band of SXSW, received major support from US Active Rock and alternative radio, and press acclaim from Rolling Stone, Alternative Press, USA Today, and more. The band followed up with 2016’s Divides which, in addition to major press, was hailed by Apple Music, Spotify and Yahoo! Music. The Virginmarys have brought their highly charged live show to tours throughout the US, Europe, Japan and India supporting artists including Queens of the Stone Age, Shinedown, Slash, Eagles of Death Metal, as well festivals such as Download Festival, Sonisphere, Isle of Wight Festival, and most recently main stage at Reading & Leeds Festival. Florence Black was formed in 2013 between the valleys of South Wales UK by Tristan Thomas, Perry Davies & Jordan Evans. 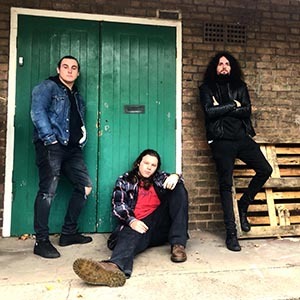 The band has been steam rolling since the Florence Black – EP was released in 2016 recorded by Romesh Dodangoda (Motorhead, Bring Me The Horizon) catching the eyes and ears of AC/DC‘s Brian Johnson, Corey Taylor, Lzzy Hale & gaining national radio airplay from the likes of BBC Radio 2. 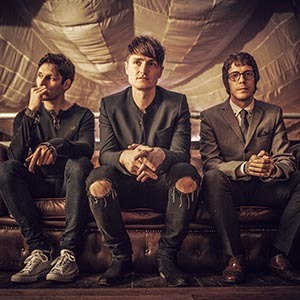 After touring the UK and playing their first major festival in Scandinavia with Kasabian, they began to cement their position as one of the most powerful three piece on the circuit with the energy and passion they produce at their gigs. Frontman Neil Murdoch explains; The album came together naturally, it took about 3 months to write and then we spent a year perfecting the songs in the studio with Alex Vine of AVR Music. The title “The Kaftan Society” is a direct link to us. It’s about being who you are, and not being scared of what people think and feel about you. Standing up for love and dismissing any form of hate. The album has so many different themes running through it, we wanted people to be able to relate to the songs and feel like it’s for them.